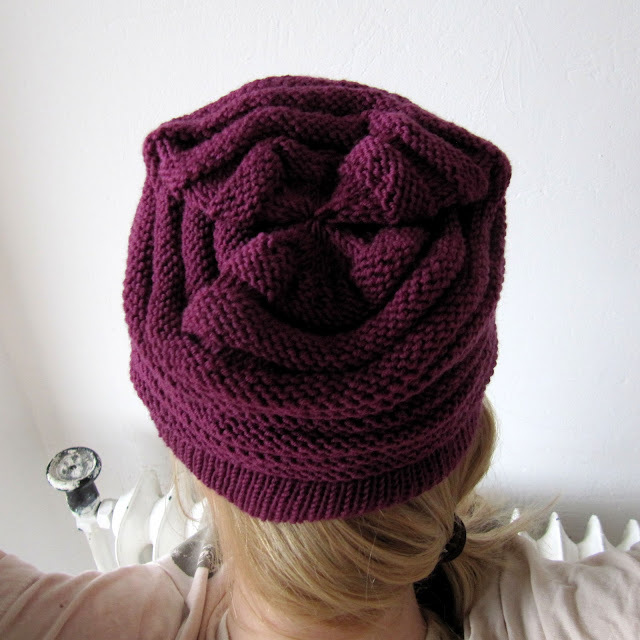 Crea in the City: FO Friday: You can leave your hat on! FO Friday: You can leave your hat on! Winter is here and so I needed a hat, a quick one. So I found this pattern. This free pattern by Katharina Nopp is calles wurm and is knit using one of my favorite yarns, Lana Grossa Cool Wool Merino. I rushed to the yarn store, bought me two skeins of this yammy yarn and got started! It was so easy and very quick and so warm for your ears. 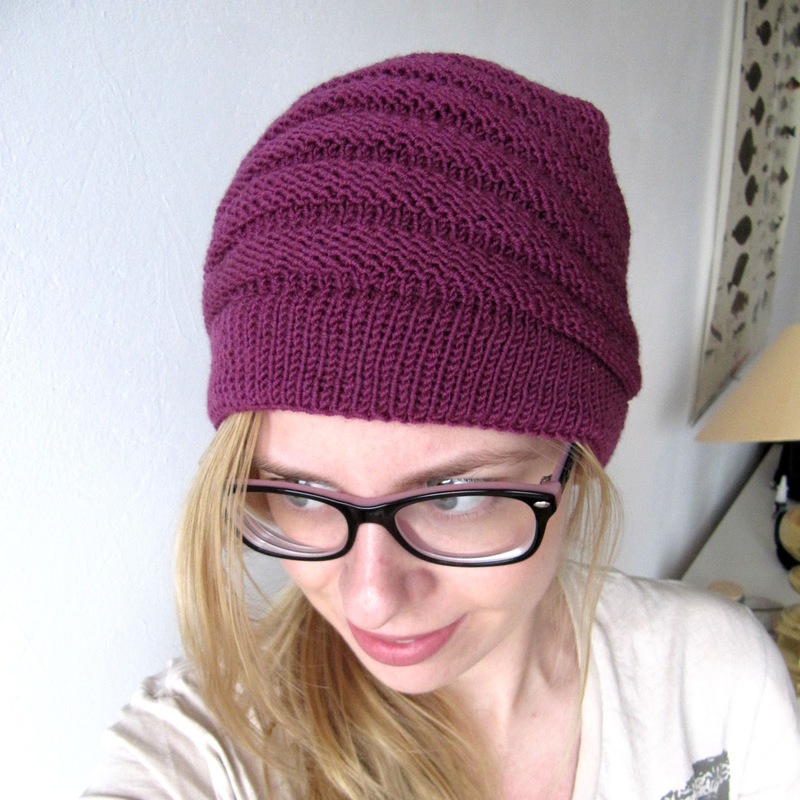 I made the smallest size and even in small the hat turned out a bit slouchy, but this is just the way I like it! Hop over to Tamis Amis for some more FO's! Your hat really looks great! I can imagine that you are very happy with it! It looks great, the slouch is just right. It's lovely - great colour! Love the color!!! So lovely. Good looking hat and I really like the slouch look, also. Visiting through Tami! It's lovely, you are such a neat knitter. 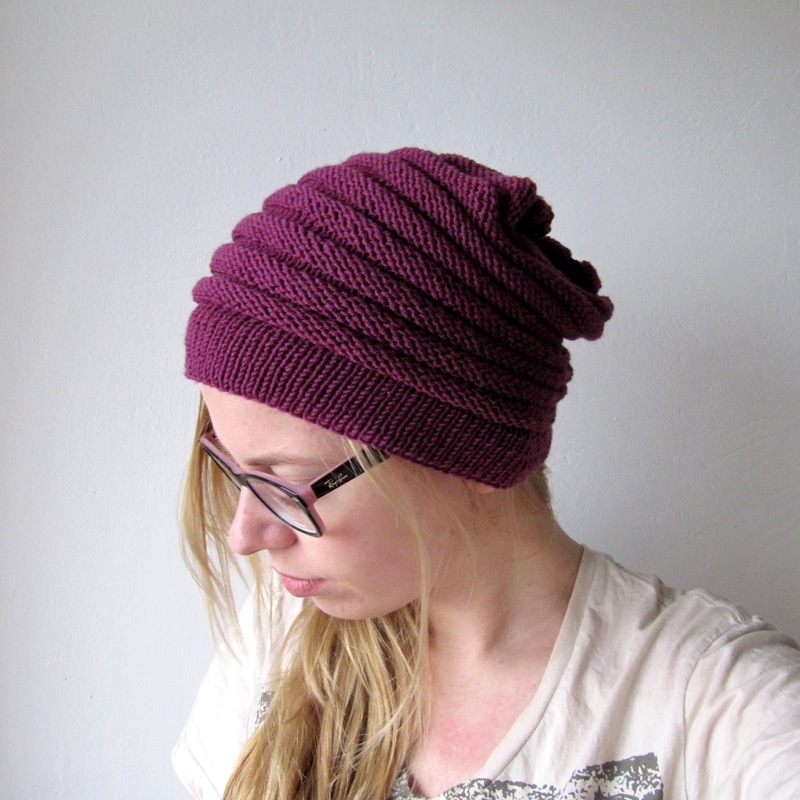 I've had this hat on my favourites list for a while, perhaps I had better conquer this fear of knitting in the round. Great hat and great pictures. It really looks fun and slouchy on you! Great wurm, I love how it fits you! Lovely hat and a great colour too, how long did it take to knit up? I'm always on the hunt for a quick hat project :) Merry Christmas! Lovely hat for the cold weather you've been having! It looks great and the color is really pretty!